The Blue Flower - ubiq bookshop: the best place to buy books! 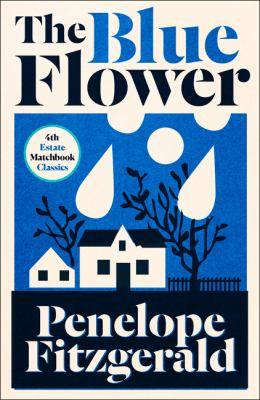 Penelope Fitzgerald's final masterpiece. One of the ten books - novels, memoirs and one very unusual biography - that make up our Matchbook Classics' series, a stunningly redesigned collection of some of the best loved titles on our backlist. The year is 1794 and Fritz, passionate, idealistic and brilliant, is seeking his father's permission to announce his engagement to his 'heart's heart', his 'true Philosophy': twelve-year-old Sophie. His astounded family and friends are amused and disturbed by his betrothal. What can he be thinking?